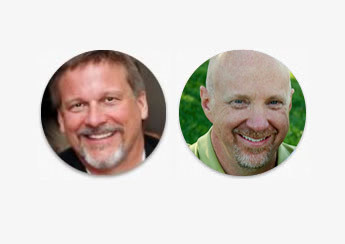 This package is for the professional who has not yet purchased the Turnaround program. 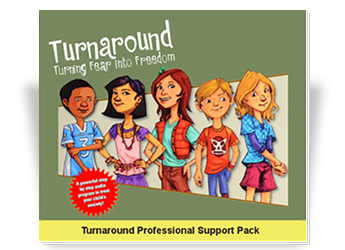 You get the Turnaround program, PLUS 5 Turnaround Journals, 5 Chill Kit CDs, and 5 Parent Guide CDs (a 2 disc set). Please note this is a physical product (not digital) and has a 60 day money back guarantee! 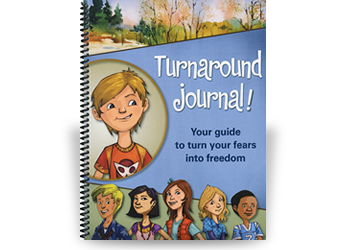 You can use the Turnaround materials with the child during your sessions, listening to the program and discussing their work in the Journal. The additional supplies can be given or sold to your clients to use at home. Many therapists sell the material to the parents for $40. Please note: The Turnaround program is not to be loaned out to parents. If they wish to listen to the program at home, they need to purchase it separately. You get a substantial savings ordering this way! Sold separately, these contents would cost you over $475! You pay only $249.00! Shipping is $15.00 for US orders and $47.00 for international shipping. The primary aim of Study 2 was to investigate the efficacy of the Turnaround treatment program for child anxiety through a small, pilot RCT that compared outcomes of children participating in the audio-based CBT program (CD) to a waitlist control group of children (WL). Results indicated that at post-assessment, compared to children in the WL condition, children in the CD condition significantly improved on all outcome measures, with results maintained at 3-month follow-up. 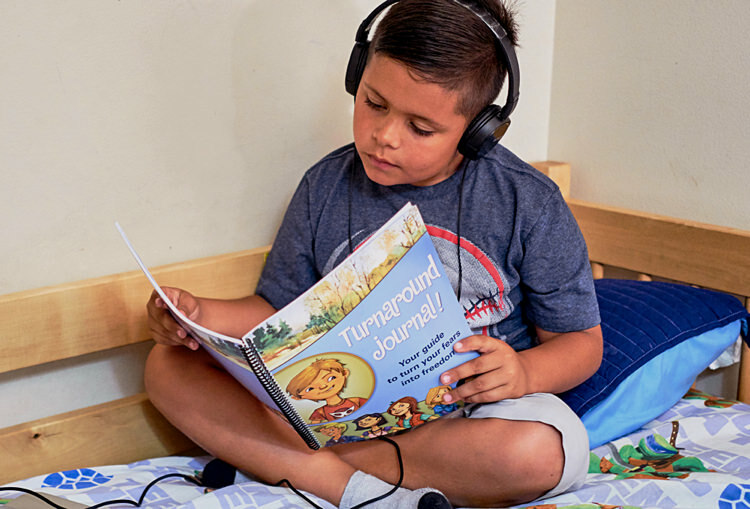 Overall, the findings of this research suggest that Turnaround has the potential to an efficacious treatment alternative for anxious children. Auditory programs offer a new and innovative avenue for treatment interventions. -Excerpt from research on the Turnaround program.